Americans today spend more than a quarter of their media time on mobile devices. 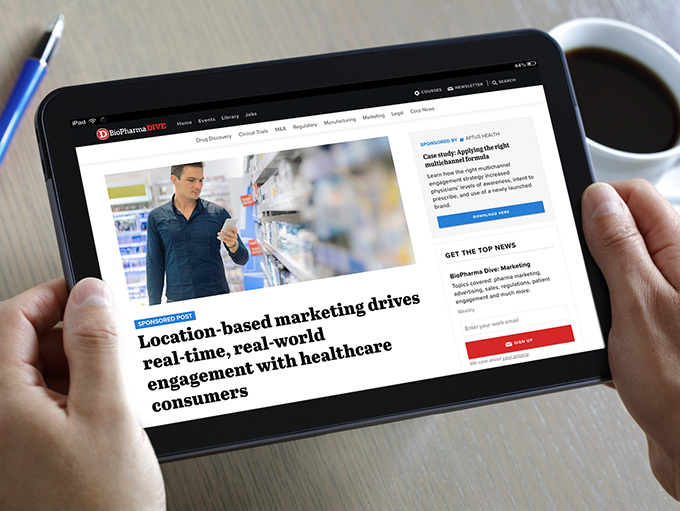 To engage their target audiences in this new digital space, health and life sciences companies are turning to mobile advertising. Smart marketers know that it’s not just the medium that matters. It’s the underlying data that makes it possible to deliver a message that resonates and drives action. Targeted, location-based campaigns have the power to capture the attention of consumers and tell a brand’s story at key moments. This approach raises awareness and supports doctor-patient interactions, ultimately leading to better health decisions. Learn how it’s happening today on millions of mobile phones around the country, with impressive results.